We have a wonderful population of geriatric dogs, in part due to the work of so many wonderful people–owners, retailers, veterinarians, and scientists–who have gone above and beyond to provide the best care for our beloved pets. Our pets are living longer than ever seen before. 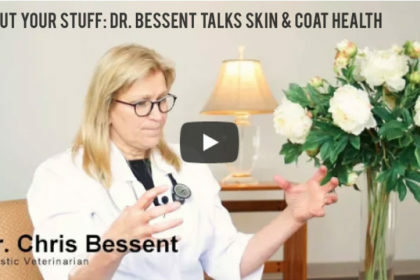 With this aging population of pets, we are seeing an increase in the demand for geriatric care, as well as the development of diets and supplements to support vibrant aging. From cognitive support to joint health, there are so many ways to help older pets live a quality of life that matches the quantity of years. Assessing if an animal is reaching the age where he or she needs extra support is key. The natural decline in health occurs at varying ages, so it’s also important to consider the size and breed of your pet. For example, large-breed dogs age quickly & have a shorter life span, so a six-year-old Great Dane can be considered an elderly dog. On the other hand, cats and small-breed dogs can easily live into their teens (or even into their early twenties) in today’s environment, so a Maltese or Persian cat may enter its geriatric years in its mid-teens. First, assess if your pet is reaching the age where he or she needs support. In addition to the physical symptoms of growing old, cognitive function begins to decline in the later years. The gradual decline of cognitive function in the older dog is called Canine Cognitive Dysfunction Syndrome (CDS). CDS is a progressive neurodegenerative disorder of senior dogs characterized by a gradual decline in cognitive functions such as learning, memory, perception, and awareness. CDS shares some of the same parallels as Alzheimer’s disease in humans, including amyloid plaques & neurofibrillary tangles within the neurons and the gradual deterioration of nervous tissues. This decline in brain function can be attributed to a decrease in the normal antioxidant production within the body and changes in endogenous neurochemicals in the brain. Antioxidants are a critical component to health. As metabolism occurs within the body, free radicals are produced via oxidation. The free radicals are unstable, erosive particles that damage any cells with which they come into contact. The antioxidants (whether produced by the body or consumed through healthy foods) sweep these nasty free radicals out of the body, essentially neutralizing them. When there is a decrease in the normal production of antioxidants (like during the aging process, for example), the antioxidants attained through the pet’s food become that much more important. The brain, no matter the species, is highly susceptible to free radical, oxidative stress. Its environment is highly oxygenated and rich in iron-lipid. Fats and lipids in the body are highly sensitive to oxidation, a process very similar to the rancidification of fat-rich foods. 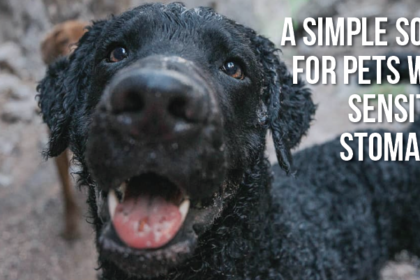 Fortunately, some fabulous research has shown the benefits of supplementing the aging pet with nutrients that help to support a healthy, aging brain. The most obvious is the need for dietary antioxidants, such as Vitamin E. Dietary antioxidants are highly concentrated in brightly colored fruits and vegetables, like broccoli, blueberries, and pomegranates. 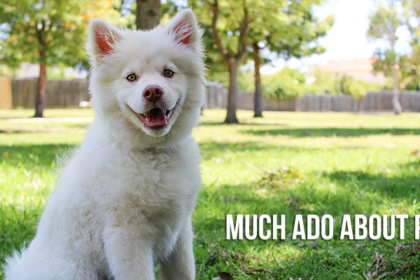 Unfortunately, in this day and age, where “dog food” is just a commercially-prepared, shelf-stable kibble, the levels of antioxidants are very low. Adding fresh fruits, veggies, or other “super foods” to your aging carnivore’s diet can help boost brain health. Other nutrients that support brain health include mitochondrial cofactors (like L-carnitine and alpha-lipoic acid). These substances provide an antioxidant boost and enhance the function of the mitochondria (the powerhouse of the cell). Branched-chain amino acids (BCAAs), such as valine, leucine, and isoleucine, positively affect the brain neurotransmitters. The brain is essentially a large, fat-filled vat of electrical connections and chemicals (called neurotransmitters) that make those connections happen. The most common neurotransmitters are serotonin and dopamine. Serotonin levels initially increase with age and affect movement and memory, whereas dopamine is the “feel good” chemical associated with rewards. BCAAs compete with tryptophan, a chemical that increases serotonin levels in the brain. In older animals, the brain’s serotonin levels are already too high. When BCAAs compete with tryptophan for entry into the brain, it helps decrease tryptophan & serotonin levels and, as a result, increase cognitive function. Two other orally-administered components for brain health include Ginkgo Biloba (an herb) and docosahexaenoic acid (an Omega-3 fatty acid, also referred to as DHA). Ginkgo inhibits an enzyme system that allows dopamine, the “happy” neurochemical, to increase (yay!). It also has antioxidant activity. DHA is one of the basic building blocks of the brain. It’s considered critical for optimal brain health and cognitive function in all ages. As an omega-3 source for carnivores, DHA can come from fish, krill, or some seaweed. Last, but still important, is the old adage “use it or lose it”. This holds true for our physical body, as well as for our cognitive health. Keeping old dogs engaged and involved with life will work the brain and preserve cognitive function. 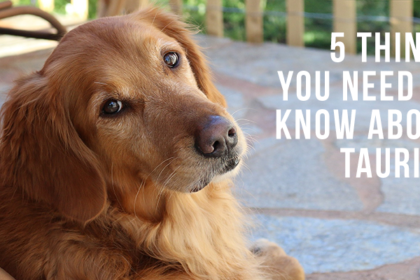 Can you teach old dogs new tricks? Absolutely! And you should. Caring for our older pets is a gift. Oral supplementation of antioxidants, L-carnitine, alpha-lipoic acid, branched-chain amino acids, ginkgo biloba, and DHA can all provide basic building blocks to support healthy aging. And don’t forget: teaching old dogs new tricks can help exercise the well-fed mind. 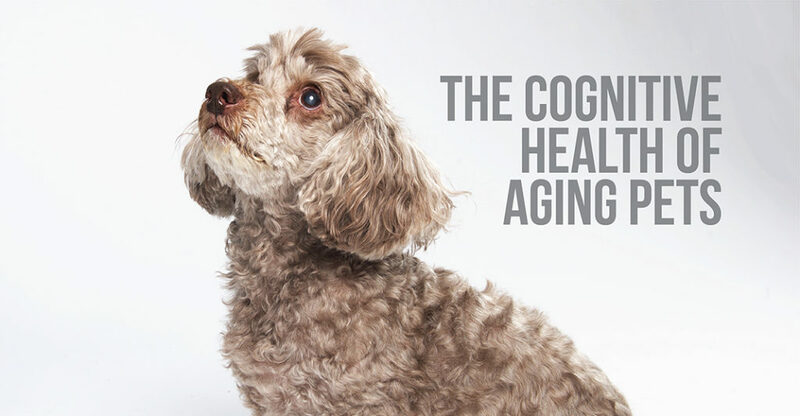 Senior Dog Wisdom®: a veterinarian–developed, cognitive support formula to maintain healthy brain function in aging pets, providing supporting factors for the health of aging dogs. 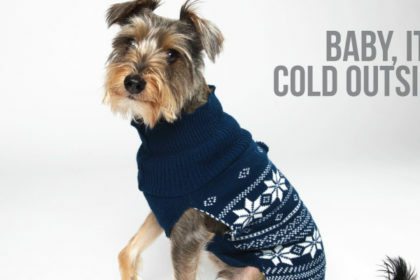 Recommended for dogs five to seven years (depending on size) or older. Senior Dog Wisdom helps to maintain mental well-being by supporting and maintaining proper cognitive function and overall good quality of life. Containing ingredients known to support a healthy brain like L-Carnitine, Alpha Lipoic Acid, Branched Chain Amino Acid, Ginkgo Biloba and DHA, Senior Dog Wisdom can help to enhance cognitive function in the aging pet as well as support and promote long-term health. It also works to support normal nerve conduction, memory recall, and oxygen utilization by the brain. Sound Dog Viscosity®: a glucosamine-based formula that aids in joint support by maintaining the normal viscosity of joint fluid. Sound Dog Viscosity also contains Chondroitin, MSM, Hyaluronic Acid, and herbs to better address all aspects of joint support. 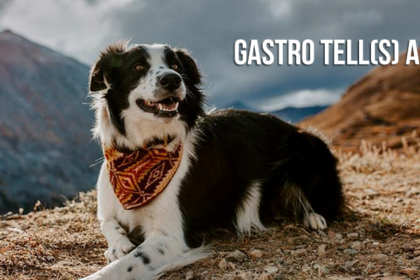 MSM and the herbs in Sound Dog Viscosity – yucca, boswellia, curcumin (turmeric), and corydalis – help to maintain and support a healthy, normal inflammatory response and may help to reduce inflammation associated with normal daily exercise and activity, training, and competition. Nutrients®: Superfood for Superdogs™ – a highly concentrated blend of nutrient-rich fruits and vegetables, known as “superfoods”, geared specifically towards a carnivore’s needs. Broccoli, blueberries, pomegranate, spinach, sweet potatoes, cranberries, tomatoes, barley grass, and spirulina provide natural vitamins, minerals, phytonutrients, and antioxidants that are necessary for optimal health. 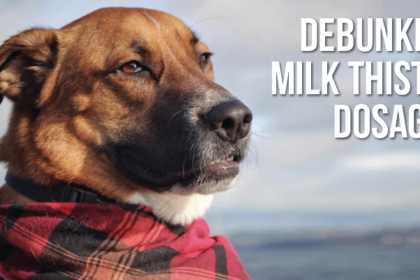 Helping to keep dogs in peak condition, Nutrients maintains the general health of all breeds and ages. 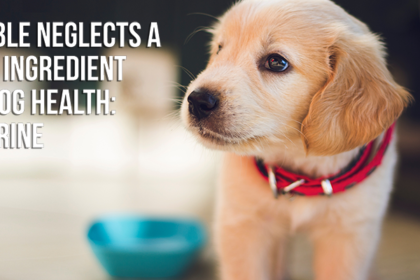 Many dogs can benefit from additional vitamins such as A, D, and E, as well as phytonutrients and antioxidants from whole food sources rich in nutrients. Spector®: helps to maintain normal eye function and vision in dogs and has been specifically formulated to help maintain ocular integrity and structure. In addition to chelated zinc and vitamin-C, Spector contains antioxidants, including lutein and xanthophyll, which help to fight free radicals and reduce oxidative stress. By eliminating free radicals associated with the aging process and reducing the negative effects of oxidative stress, Spector promotes long-term ocular health.